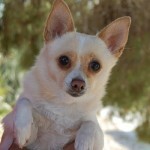 Darling young girl, blond Chihuahua, spayed, 3 years. 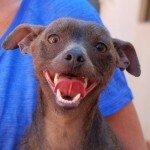 Starla is a gentle girl with a loving nature. She is good with other sweet dogs. 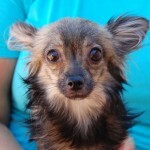 Please visit and ask for Starla by name. ***ADOPTED*** Lovable little fellow, Terrier & Toy mix, neutered, 7 years. 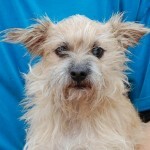 Pip longs for someone to treasure him and accept his unconditional devotion. He is good with other dogs. He has impaired vision in his left eye (old injury). 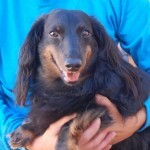 ***ADOPTED*** Devoted boy, handsome Longhair Dachshund, neutered, 10 years. 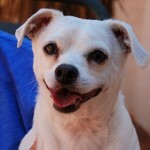 Monte is loyal to those he loves and enjoys belly rubs. He is housetrained. He is good with other dogs. He is wary of strangers. A quiet home is ideal for him. 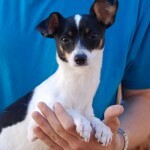 ***ADOPTED*** Delightful junior puppy, Toy Fox Terrier mix, spayed girl, 9 months. Please puppy-proof your home and yard for her safety. Jade is affectionate and playful. She enjoys other sweet dogs. ***ADOPTED*** Adorable junior puppy, Terrier & Toy mix, neutered boy, 11 months. Please puppy-proof your home and yard for his safety. 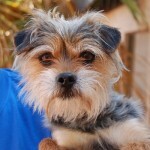 Dennis is fun-loving and playful. He enjoys other dogs. Precious young boy, Toy mix, neutered, 2 years Nathaniel is amiable and lovable. He likes other dogs (who don’t jump on him). At the time of rescue he was severely injured. ***ADOPTED*** Chipper boy, Toy & Spaniel mix, neutered, 7 years. 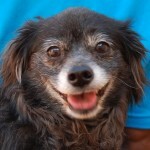 Austin is a bright-eyed cutie with a gentle soul. He enjoys other dogs. He is drawn to soft-spoken people. ***ADOPTED*** Beaming young boy, Heinz 57 with Chihuahua & other breeds, neutered, 2 years. Winner likes to share his happiness and wonderful smile. He is housetrained. He is good with cats, dogs, and kids. ***ADOPTED*** Playful youngster, Yorkshire Terrier mix, neutered boy, 1 year. 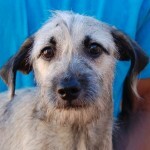 Abraham is a super cute young boy asking for a responsible, loving, lifelong home. He enjoys other friendly dogs. Please visit and ask for Abraham by name.